The D.C. area is known to all as the Nation’s Capital and Home of the President, but it is also recognized as one of the main attractions for music, dance, and culture. An established competition, which encompasses all of these passions, is non-other than Bhangra Blowout. This prestigious event is held every year and teams from all across the nation battle it out to be named “National Champions.” This year, CMU Bhangra was awarded this esteemed title and returned to their University, in Pittsburgh, as victors. 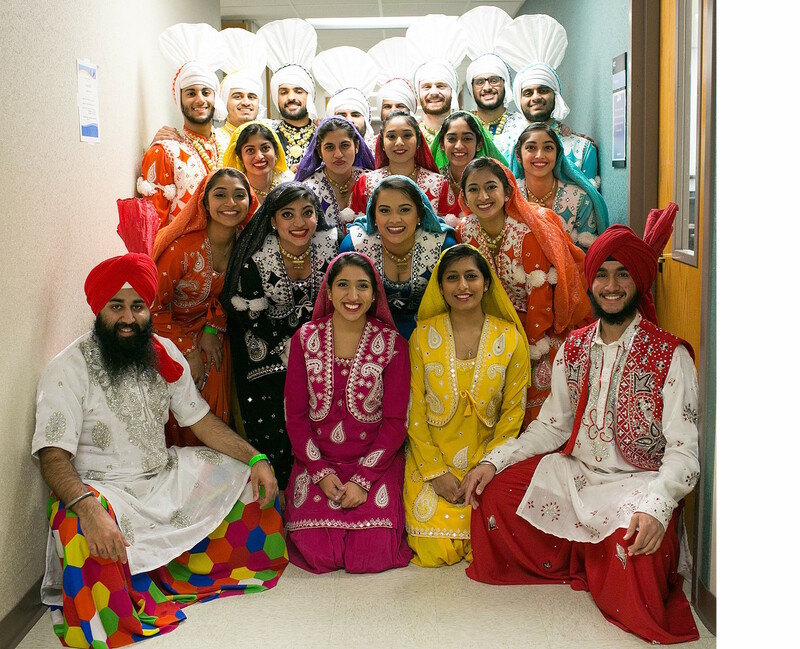 CMU Bhangra, based at Carnegie Mellon University, was established in 2006 and was originally created as a dance organization. Their innovation and skills have proven to be unstoppable this past season. Every year, the executive board holds tryouts where the team is selected from scratch. No individual is guaranteed a spot, regardless if you have danced for the team or not. Everyone needs to try out once again. We begin by releasing our tryout choreography, for the year, which is usually a mashup of basic bhangra moves. We hold teaching sessions for a week or two for the freshmen and then have tryouts. This whole process lasts approximately 3 weeks. This year, we had 250 individuals sign up for tryouts, out of which we created a 49 person team (including instrumentalists). Our biggest goal is to incorporate the freshmen and make them love bhangra. We start off the year by running boot camp where we go through and teach them all the moves to dhol. As we teach them the moves, we try explain them cultural significance of the moves and bhangra in general. By doing so, they get an understanding as to why these moves are done and how they are incorporated in sets. The biggest goal along the way is just to simply inspire and show them why we love what we do. Our goals this year are to be able to successfully create a set and execute it at a very high level. Rather than working on being overly clean, our priority is to make strong dancers which will end up resulting in strong and clean execution. As always, we want to be able to train our B team (campus team) and make sure they are prepared for the upcoming years. Our biggest challenge is being able to compete against professional/independent teams in the circuit. We want to establish ourselves as a strong team, not just a strong co-ed or collegiate team. My favorite thing about my teammates is that we act like a family. We enjoy ourselves, argue, tease each other just the same way any family would. We say that we cant stand each other, but when practice is canceled, we still end up hanging out with each other anyways. I enjoy the work ethic and self-motivation this team has. It isn't just the captains who are telling/pushing the team. We fight for each other and inspire each other to dance and succeed. One thing that that our team does do differently is that CMU Bhangra is trained on dhol for the past 2 years. Although the mix is important, a huge part of our practicing is how to dance to a beat/rhythm that is presented to us. Some traditions we have are an end of the year dinner and various team bonding events (parties, BBQ, haunted house adventures) that we maintain throughout the year. Our team chant is "CMU on three- 1....2...3....CMU!" Bhangra Blowout 23 is our most defining performance. I think that is when we established ourselves and proved to everyone, and our team, that we stand by our strong dancing. Below is a link to the official GTV video of our performance and also includes a small interview of some of our team members. The most memorable moments of the team are when we come together and just are thankful for what we have. Personally, I remember the times where I spent long nights working with dancers, starching pughs, going over logistics, preparing the set, or just sitting and talking about inspiring performances. Those are the moments that inspired me to be who I in the circuit today and help me to improve my team in general. We have never had an alumni perform/compete with us. All the mix, logistics, set creation, pugh tying, is all done in house. No extra help at all. We took the team on a haunted hay ride at the beginning of the year and made everyone almost cry.